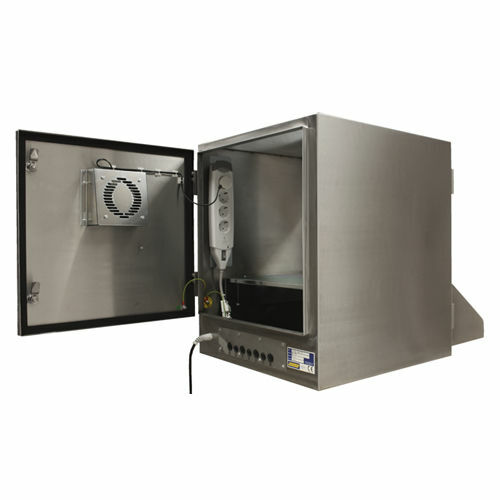 Perfect for heavy wash down and hygienic environments, The Armagard SENC-900 is a stainless steel washable all-in-one waterproof enclosure, designed to fit a 17 display alongside a conventional desktop PC. In addition the 900 series is fitted with an additional membrane keyboard in either a trackball or durapoint mouse, and is sealed to IP65/NEMA4. Stainless Protection - protects against wash down, dust, dirt, impacts, liquid splashes, tampering and theft. Enclosures are rated using European IP ratings that give a clear indication to the types of environments the enclosure can operate in. More flexible than an industrial computer - repair, upgrade or replace the enclosed PC without risking downtime waiting for an engineer. Enhanced Security solid stainless steel casing protects against attack whilst optional tamperproof locks ensure security. Stay up to date an enclosure allows you to choose what software to run, no need to rely on an outdated industrial computer. Install the latest technology or software at will. 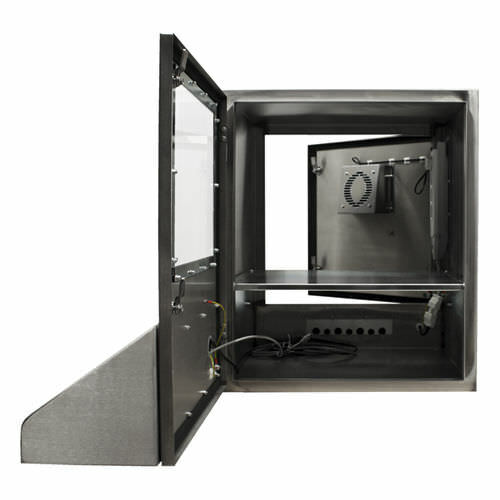 Lengthen the life of your equipment a more economical alternative to expensive industrial machines, PCs and monitors last longer in an Armagard computer enclosure which themselves can be reused year after year. All Armagard products are constructed according to European IP and International NEMA standards, ensuring protection from liquids and particles.